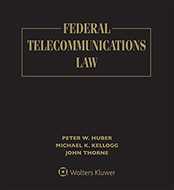 The draft version of the latest iteration of the FCC’s “section 706” report to Congress on the deployment of advanced telecommunications capability, which FCC Chairman Ajit Pai circulated to his fellow Commissioners today, would find that the Commission is meeting its obligation to ensure timely deployment, would conclude that mobile broadband services are not full substitutes for fixed services, and would leave the broadband speed benchmark unchanged from 25 megabits per second downstream/3 Mbps upstream. The notice of inquiry issued by the FCC last year to launch the General docket 17-199 proceeding had proposed maintaining the 25/3 benchmark adopted in 2015 over the dissents of then Commissioner Pai and Commissioner Mike O’Rielly (TR Daily, Jan. 29, 2015), but it had opened the door to the possibility that availability of mobile broadband services could provide a stand-alone rationale for the FCC to find that “advanced telecommunications capability is being deployed to all Americans in a reasonable and timely fashion,” a question that section 706 of the 1996 Telecommunications Act requires it to answer in its reports to Congress. According to a fact sheet released by the FCC today, “there are salient differences” between mobile and fixed services. “Beyond the most obvious distinction that mobile services permit user mobility, there are clear variations in consumer preferences and demands for fixed and mobile services,” it says. The fact sheet emphasizes that the Commission analyzed deployment in terms of progress, rather than a snapshot of deployment at a particular time. It cites the statutory phrase “is being deployed” as an indication that the statute requires it to look at progress. “Since the last report, the FCC has taken many steps to encourage broadband deployment. Most notably, the Commission has taken concrete actions to reduce regulatory barriers to the deployment of wireline and wireless infrastructure, constituted a Broadband Deployment Advisory Committee to assist in these efforts, reformed the legacy high-cost universal service program to ensure accountability and introduce opportunities for new entrants through reverse auctions, modernized our rules for business data services to facilitate facilities-based competition, authorized new uses of wireless spectrum both terrestrially and in space, and voted to eliminate the heavy-handed regulations contained in the Title II Order, returning to the successful light-touch regulatory framework for broadband Internet access,” the fact sheet says. “Due to these efforts, the draft report concludes that the FCC is now meeting its statutory mandate to encourage the deployment of broadband on a reasonable and timely basis. That positive finding, however, does not undermine our continued commitment to closing the digital divide. Too many Americans remain unable to access high-speed broadband, and we have much work to do if we are going to extend digital opportunity to them,” it adds. “Broadband deployment remains the FCC’s top priority. Our effort to bridge the digital divide and promote the further deployment of advanced telecommunications capability will remain the Commission’s top priority as we continue our work to deliver the benefits of broadband to all Americans,” it concludes. In a statement, Chairman Pai said today, “The draft report indicates that the pace of both fixed and mobile broadband deployment declined dramatically in the two years following the prior Commission’s Title II Order. However, the draft report also discussed how, over the course of the past year, the current Commission has taken steps to reduce barriers to infrastructure investment and promote competition in the broadband marketplace. Taken together, these policies indicate that the current FCC is now meeting its statutory mandate to encourage the deployment of broadband on a reasonable and timely basis. “But while we are now headed in the right direction, our work has just begun. Far too many Americans still lack access to high-speed Internet, and that’s why the FCC’s top priority under my leadership remains bridging the digital divide and bringing digital opportunity to all Americans,” Chairman Pai concluded. Democratic FCC Commissioner Mignon L. Clyburn criticized one aspect of the draft report, saying, “By the FCC’s own admission, over 24 million Americans are still without high-speed broadband access where they live. For years telecom companies and government officials have promised Americans that ‘soon’ they will have affordable, high-speed broadband. Yet millions continue to wait, hoping that this vital connection will bring economic development and prosperity to their community. I met many of these individuals during my travels around the country, including last summer in Marietta, Ohio.